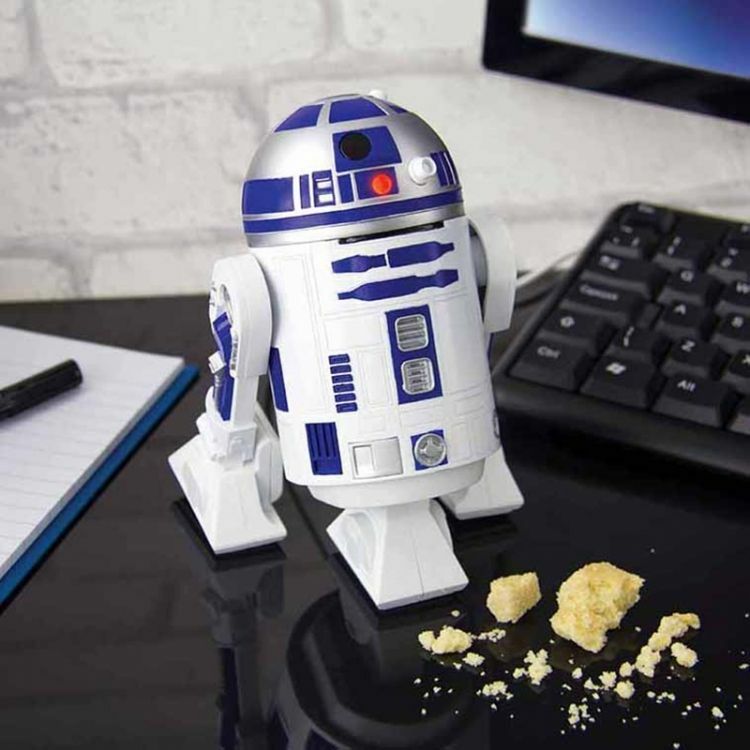 Get a little help from everyone's favourite astromech droid to keep your desk in tip top condition. 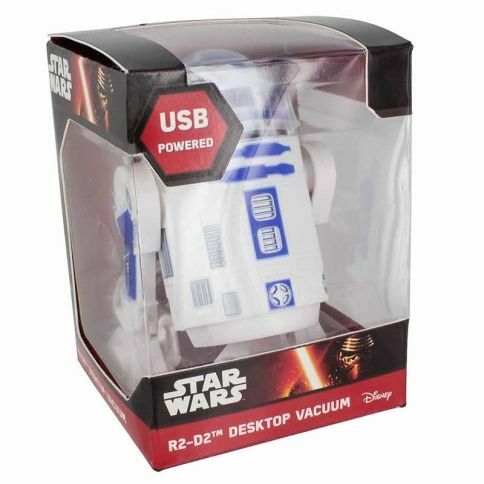 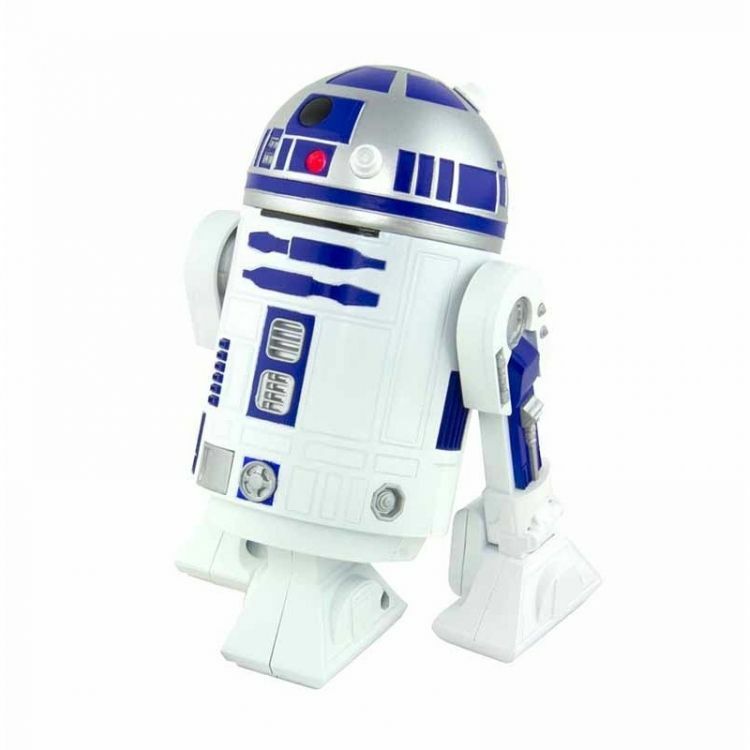 A miniature version the popular Star Wars character R2-D2, this desktop vacuum cleaner is perfect for keeping on top of all those small table top jobs. At 13.5cm tall, R2-D2 will vacuum up dust and crumbs through his front leg, and has a screw-top lid making him easy to empty once full.